Embryonic development is heavily dependent on temporally and spatially restricted gene expression. Spatially resolved measurements of gene expression are therefore crucial for identifying novel regulators and the understanding of their function. However, in situ methods do not resolve global gene expression, and sequencing-based methods usually do not provide spatial information. 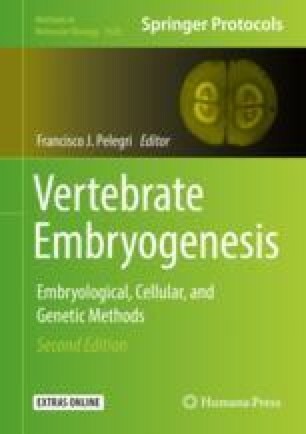 Here, we describe tomo-seq, a method that combines classical histological sectioning of embryos or tissues with a highly sensitive RNA-sequencing technique. Application of tomo-seq to zebrafish embryos allows reconstructing the spatial gene expression of thousands of genes.